The problem with being in a hurry or multitasking is that you lose things. For example, I lost my meds in Shoprite last night. At least I think I did. I don’t know where else they could be. I keep the bottle in my purse and take a pill every morning at the office after breakfast. Today they were gone. They could have fallen out of my purse in the car—still have to check tonight—or in the parking lot. Maybe my cats incorporated them into The Hide & Retrieval Game, which consists of shoving various objects, such as paper balls, toy mice and keys under the sofa, stove, and dishwasher. Then they go about the business of retrieving the objects, reaching their furry arms under the furniture and appliances and sometimes getting them stuck! That’s where I come in. Judging by the dozens of paper balls, toy mice, rubber bands and paper clips I find when cleaning behind the sofa, their retrieval attempts have not been very successful. You might ask what kind of meds I lost, and why don’t I simply call my doctor for a refill. Well, I could. The pills are of a delicate kind, not your garden variety blood pressure medication, migraine pills or acid reflux reducers. They are of a psychotropic nature, something one might want to keep private, especially in a small town. I have long abjured medication of this nature, as I witnessed my mother’s life-long relationship with psychotropics that seemed to do her little to no good; I always thought that taking pills was the sign of a weak mind, and that wasn’t me. 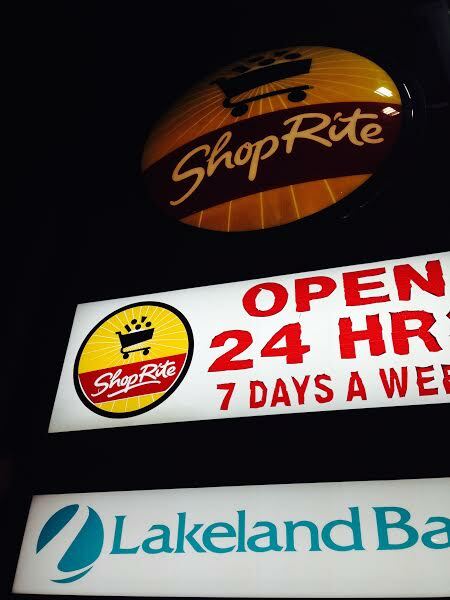 My first panic attack in New Jersey occurred in ShopRite. When we first moved to NJ from Astoria seven years ago, I was unaccustomed to the vast aisles of food and frenzied shoppers. Why the frenetic energy and so many scowls on suburban faces? It made Key Food in Astoria seem downright mellow. First the attacks came on once a month, then once a week, then they escalated from every other day to almost daily. Enough! I’d wake up with one and could barely get dressed for work—a sense of dread overcame me, clammy hands, palpitations. I was diagnosed with “panic disorder.” And yes, the “crazy” gene seems to run in the family. My maternal grandmother was a “nervous” person and endured electroshock treatments back in the day. Of course I can call the doctor—actually the nurse practitioner—for a handful of pills to tide me over till my appointment on Saturday, but I wonder if she’ll think I sold the “missing” pills. Probably not, but I wonder. The stigma still exists around people dealing (I don’t like to say “suffering,” sounds weak) with mental illness. Too bad we can’t treat it like a physical condition or disease that simply requires chemical intervention. We aren’t living in that world yet. Back to ShopRite and the search for meds. My husband works an earlier shift than me, so he went to ShopRite and asked, but no dice. It could be: (a) I didn’t lose them in the store, (b) I dropped them in the parking lot, (c) another shopper found them and kept them, (d) another shopper found them and threw them in the trash (see my earlier post, “Runaway Shopping Cart”), or (e) none of the above. Hopefully they are on the floor of the Pathfinder or under the sofa and the cats are having a ball. Well, there you go, I found them in the passenger’s seat of my car. Thank goodness for small blessings, and meds. 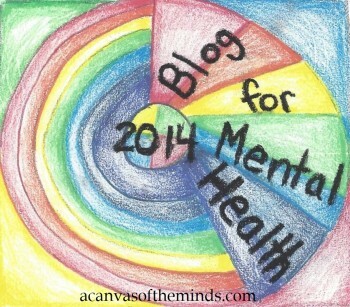 To learn more about the Blog for Mental Health 2014, please visit A Canvas of the Minds. With your help, we can continue the path towards de-stigmatizing mental illness. Whew! All’s well…and all that. It blows my mind that after all these years, and all the info about the BIOLOGY of mental disorders, there is still a stigma about mental health. I have had two panic attacks in my life, (thought I was going to die, literally) and I watched my mother have them, and they are serious business. I didn’t know you were dealing with this, my friend. I am proud of you for writing about it. Only by being this kind of honest are we ever going to remove that stigma. I don’t mind telling the world I spent time in a mental hospital. It means I took care of myself when I needed it. You are doing the same. Good for you!